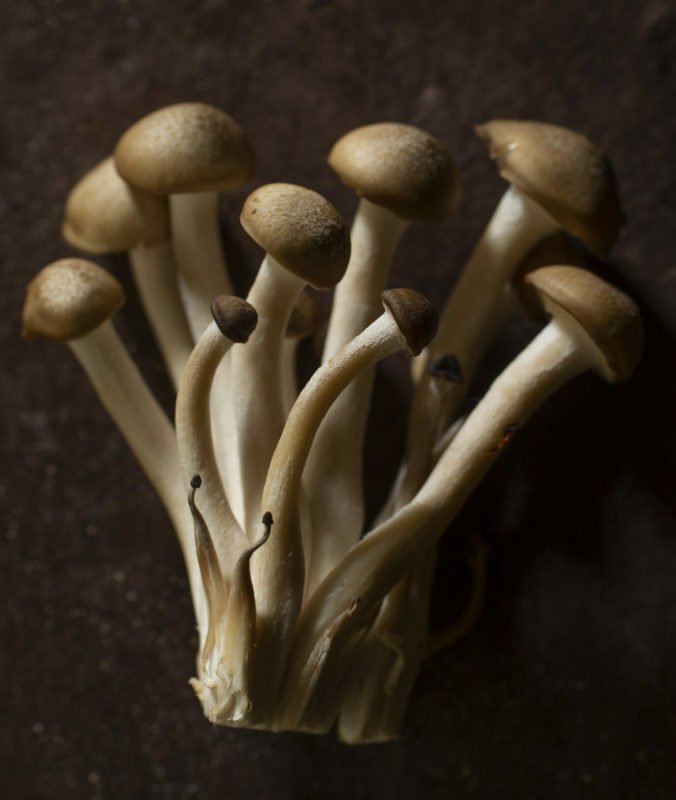 To hear Occidental mushroom specialist Wyatt Bryson tell it, if we really embraced the marvelous mycelium growing all around us, we could save the world. It’s a lofty idea, perhaps, for the self-taught mycologist who seven years ago decided to dig deep into the magic of mushrooms. 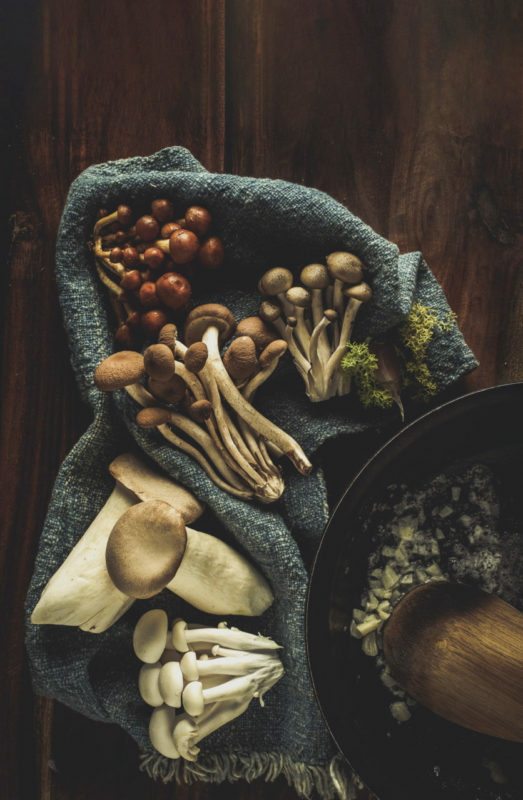 Yet he and many other local mushroom experts are increasingly sharing this message: Fungi are delicious, but also exceptionally nutritious, naturally medicinal, and excellent for the environment. 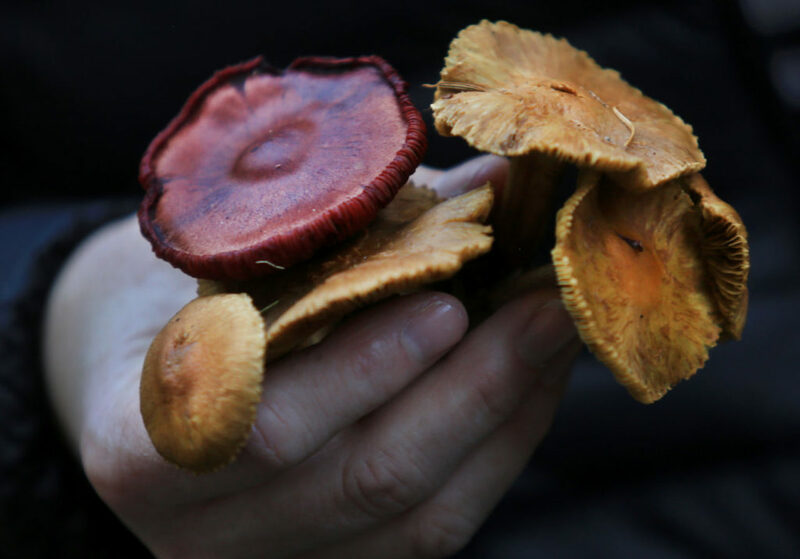 As mushroom season swings into full gear during Sonoma County’s winter-spring rainy weather, it’s a perfect time to explore why fungi are emerging from the underground, and becoming an increasingly celebrated food. Whether you forage your own from the forest or shop at a store, the expanding array of specialty mushrooms available here is impressive. 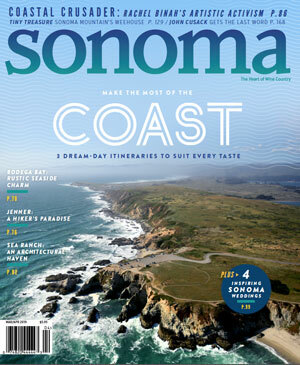 America, actually, is a bit late catching the trend — even in the abundant food shed and mushroom-perfect landscape that is Sonoma County. Other countries around the world have long recognized the benefits. 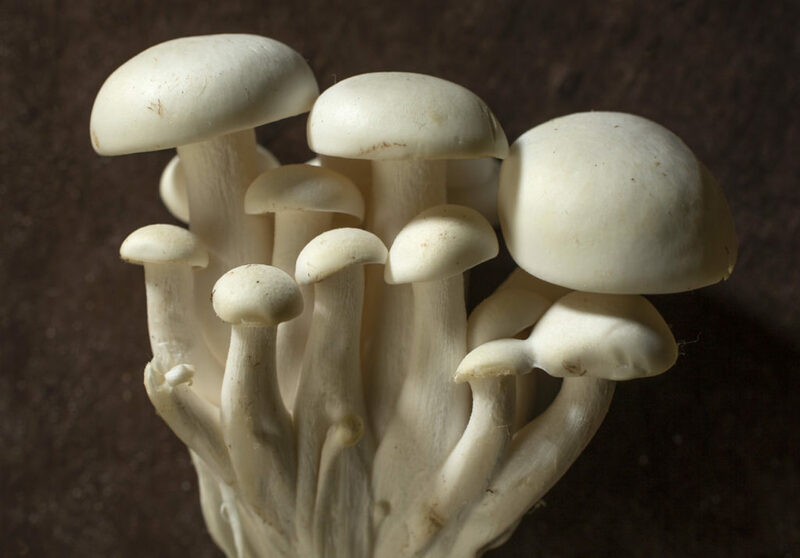 East Asia cherishes shiitakes, for example, believing they may help fight cancer, boost immunity, and support heart health with their abundance of polysaccharides, terpenoids, sterols, and lipids. The low-calorie superfoods contain many of the same essential amino acids as meat, and offer fiber plus many vitamins and minerals. 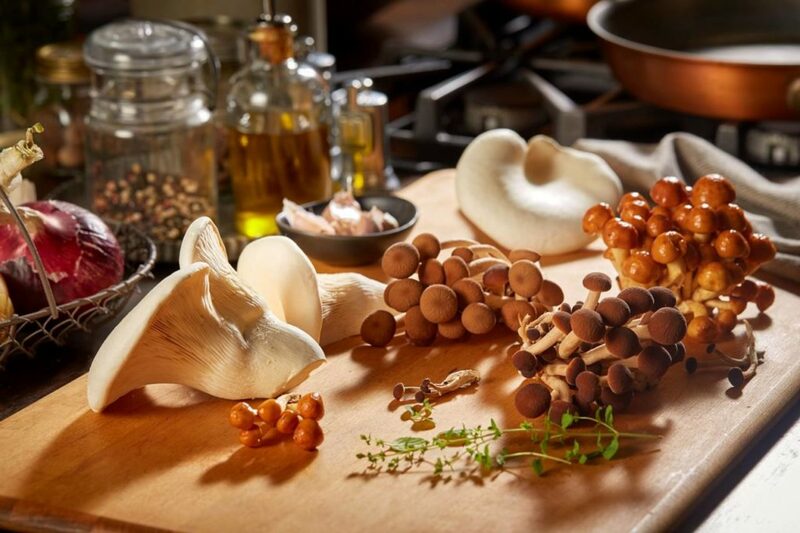 For the 2018 Global Wellness Summit trends report released last January, mushrooms led the list of hot topics, in their pure form and also as mushroom-infused products in coming years, the summit leaders predicted, as powders, lattes, cocoas, chocolate, broths, oils, teas, and even beauty products. 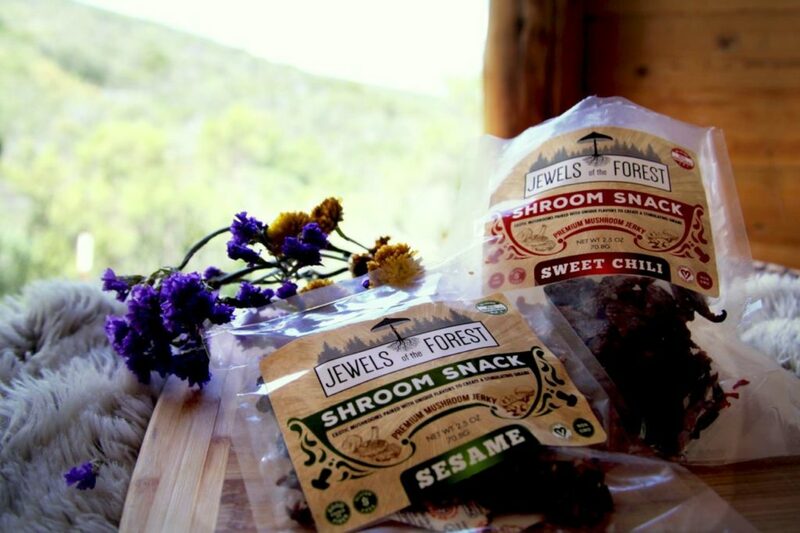 Consider Bryson, who, along with his brother, Hunter Bryson, opened Jewels of the Forest in Sebastopol in June 2017 as a retail and production shop for their all-natural mushroom jerky. Here, they wash organic oyster mushrooms, then marinate them in sauces like sesame-soy-garlic, or sweet chile with cane sugar, soy sauce, red pepper flakes, and garlic. Next, they’re dried in a commercial dehydrator so heavy it had to be rolled into the kitchen on pipes, Egyptian style. The result is tasty, healthy, vegan, and organic. Already, their jerky is sold in some 150 stores across the country, and the duo is testing recipes for new flavors such as Thai coconut curry and teriyaki. They also stock other items in their store, including organic yerba mate blended with chaga and turkey tail mushrooms — both varieties that have traditionally been used as medicines in Asian and Native American cultures. The tea is made by The Chaga Company in San Francisco. 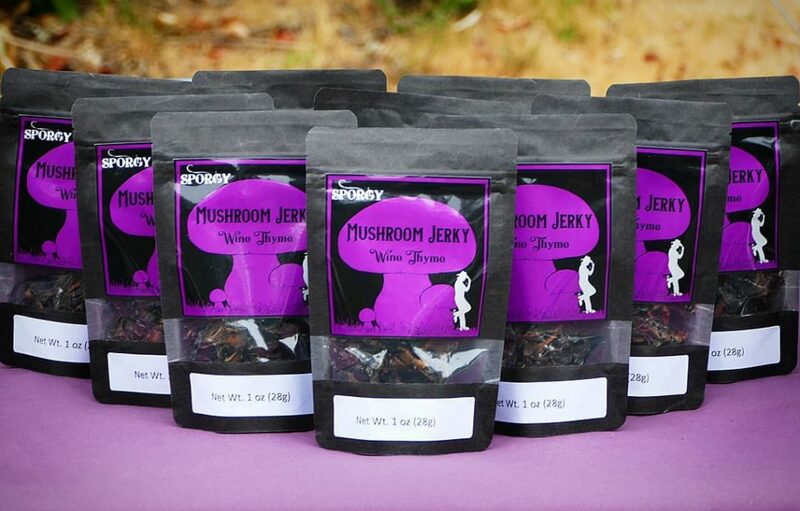 Another mushroom jerky company, Sporgy, debuted last year, too, with owners and husband-and-wife team Adam Alexander and Carlee Leonhard showcasing smoked, marinated maitakes in flavors like barbecue, wine-thyme, and Mexican mole. 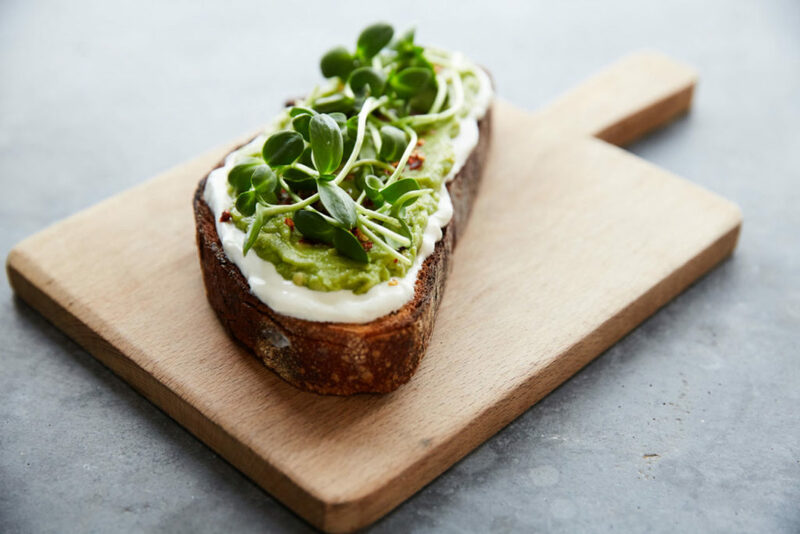 The Healdsburg-crafted snacks can be found at farmers markets in Healdsburg, Windsor, Cloverdale, Santa Rosa, and Sebastopol, plus shops like Shelton’s Natural Foods and Jimtown Store. Unlike the sometimes boring button mushroom, boutique mushrooms are often particularly delicious, which certainly helps the craze. That’s just one of the reasons that Mycopia in Sebastopol has seen at least 20 percent sales growth each year over the past seven years. 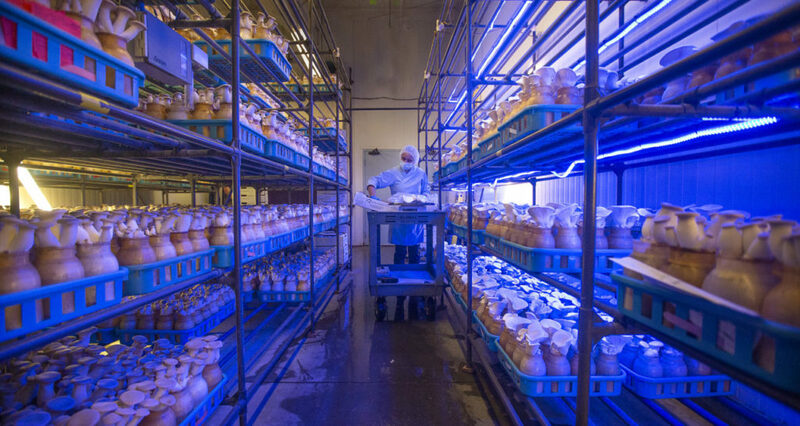 The farm and production facility grows seven mushroom varieties under its Gourmet Mushrooms label, including alba clamshell, brown clamshell, forest nameko, trumpet royale, velvet pioppini, maitake frondosa, and nebrodini bianco. In business since 1977, Mycopia was considered an oddity when it first debuted, says sales and marketing director Justin Reyes. Founders David Law and Malcom Clark started cultivating fungi on a former chicken ranch, then grew the business as Clark explored the world in search of more exotic mushrooms. Exotic mushrooms are also mouthwatering alternatives to meat, for today’s increasingly plant-based diets. 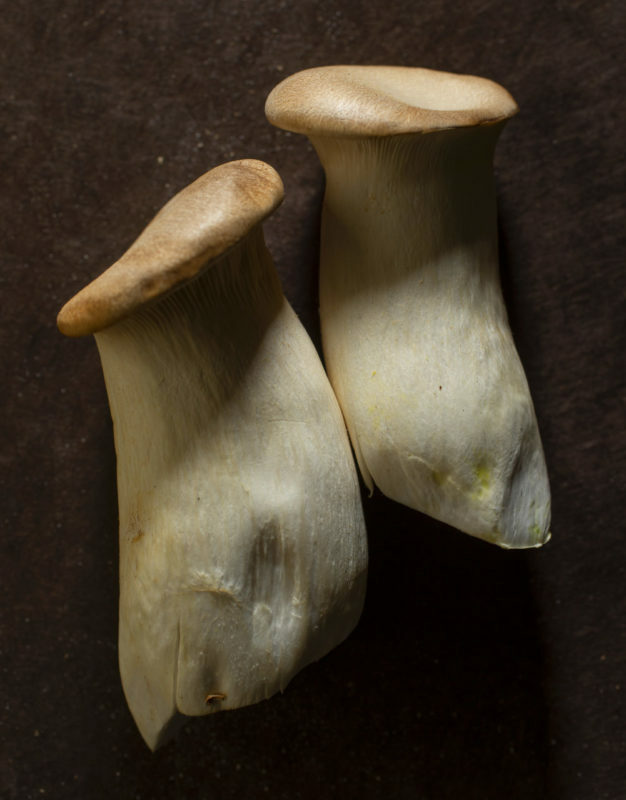 Reyes favors sautéed maitakes in tacos, king trumpets butter-seared like scallops or Cuisinart-chopped for a crab substitute, and forest nameko as a miso soup base, lending velvety texture from its natural protein gel. 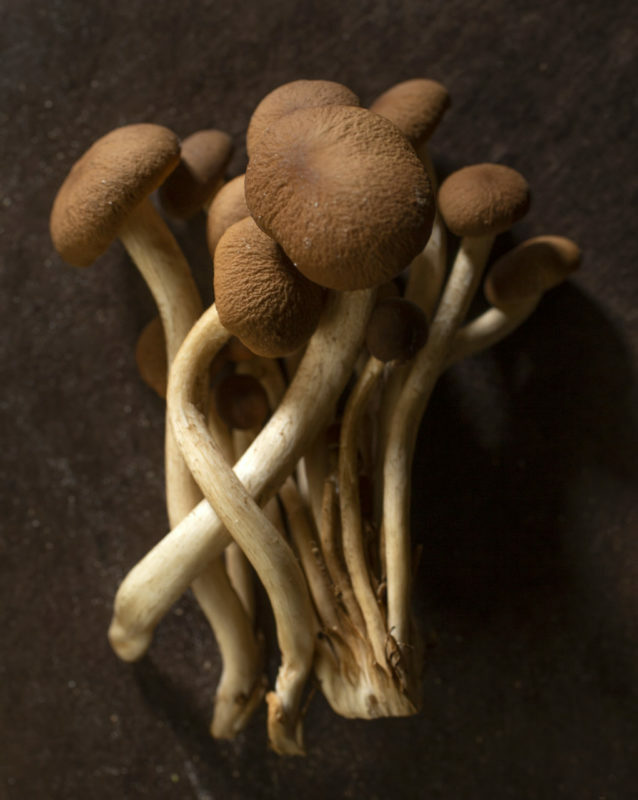 The Mushroom Council U.S. organization has done taste tests with schoolchildren, too, for full-beef burgers, or burgers mixed half-and-half with ground mushrooms. The consensus: the mushroom blend wins, credited with extra juiciness and umami. Mycopia now occupies a 60,000-square-foot facility next to Merry Edwards Winery on Gravenstein Highway, and produces about 1 million pounds a year, plus another 3 million pounds from a second farm in Michigan. The company is one of only two operations in the country that grows mushrooms on purified natural compost in innovative, recyclable plastic pots. The method helps limit water use to an earth-friendly 8 to 10 gallons per pound, a remarkable consideration compared to the 1,500 gallons per pound for beef, notes Reyes. The ultra-rich compost, too, is returned to the soil, nourishing the earth. 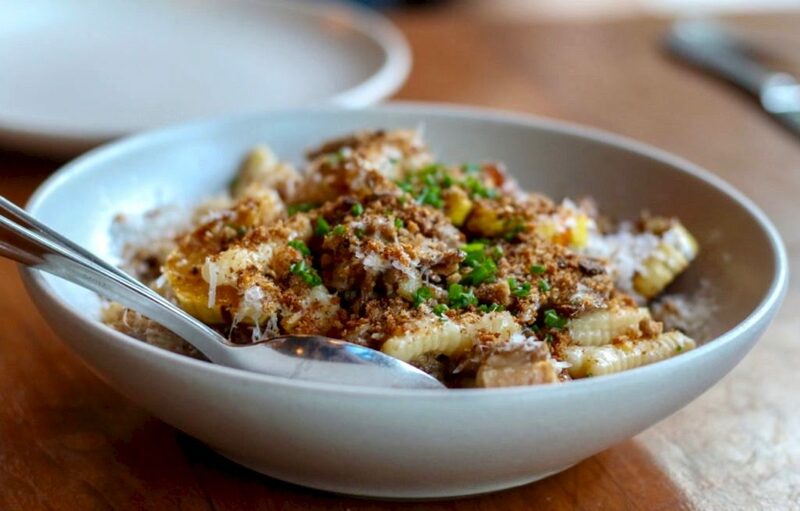 Most Mycopia sales go to chefs and upscale markets like Oliver’s, but the public is welcome to visit the farm every Friday from 1 to 3 p.m. to direct-purchase bulk mushrooms. Customers can also purchase gift baskets and educational mushroom kits for at-home growing.